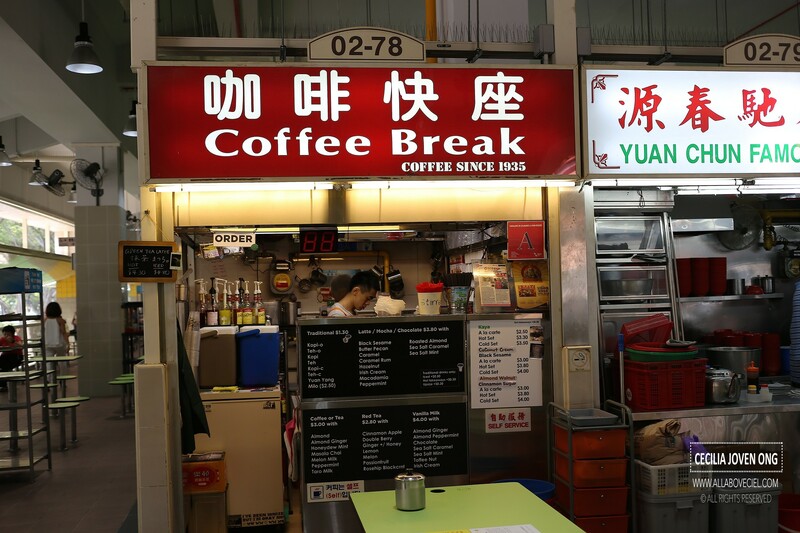 This coffee stall is at the 2nd level of Amoy Street Food Centre and has been around since 1935, it is helmed by the 3rd generation now. Faye used to be a Barista in some coffee joint has took over this family coffee stall founded by her Grandfather. She is doing it with Jack, her brother. They serve not just the traditional Hainanese style coffee but also the modern blends with different flavors like Green Tea Latte, Irish Cream Coffee, Sea Salt Caramel and many others. The beans are freshly grounded to give their coffee its distinct flavor. I was told that they are still using a sock to do it the traditional way. I ordered their Iced Green Tea Latte at $4.80 to go. The hot version is at $4.30. 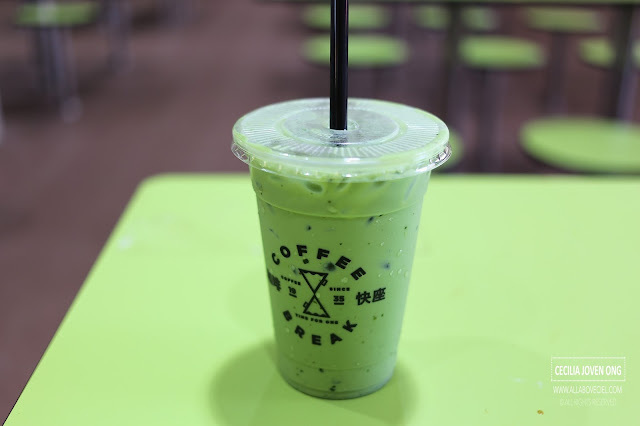 It was smooth, creamy as well as lightly sweetened with a distinct green tea flavor and is served with just enough ice cubes to keep it chilled. The prices are quite steep in a hawker centre though it is still cheaper than those coffee joints. And, i do not quite mind to pay the extra for that something different when having it with the usual hawker fare. Latte with Caramel at $3.80 is another recommended choice. The flavor is smooth but rich with just the right amount of milk for a creamier taste a hint of caramel. They are famous for serving thin-wholemeal toast spread with Hainanese kaya and frozen butter though no longer toasted over a charcoal fire but in an electric toaster. They do not just serve it with kaya but also with Black Sesame Paste, Yam Paste, Earl Grey Creme and Cinnamon Sugar. I love the bagels feature which allows you to toast only one side. Previously I was using a toaster Oven but it just did not do the bagels well. This is perfect and fits my kitchen both in the space it takes and its design. Nice simple set-up, highly recommend…..